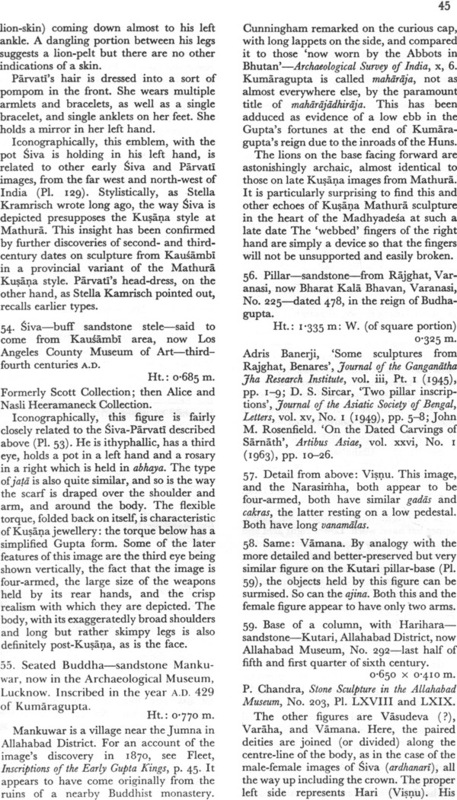 This is the first comprehensive survey of the sculpture of the Gupta period in India (4th, 5th and 6th centuries). The Gupta age is the classical period of Indian civilization, still regarded as a golden age, when many of the elements of Indian civilization which have endured to this day assumed their present form. 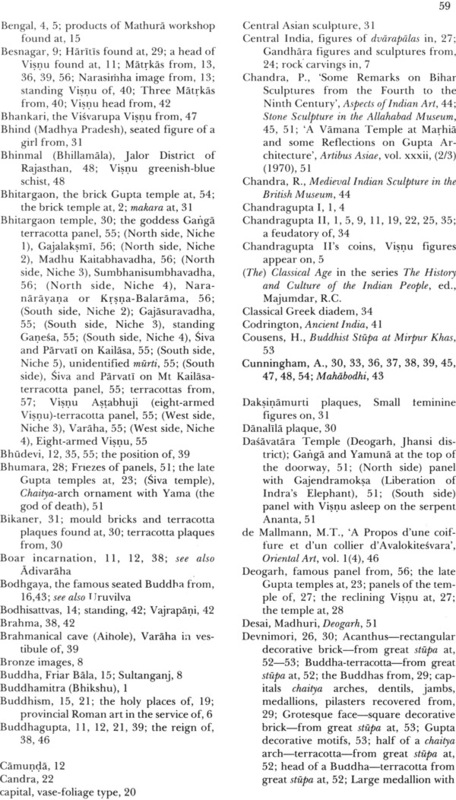 More than 140 examples of Gupta sculpture, in both stone and terracotta, are illustrated. These include well known masterpieces like the Sarnath Buddhas as well as numerous work discovered in the past thirty years before its publication, both Hindu and Jain. Terracottas, in which the Gupta modelers reached heights rarely if ever surpassed and which have been hither-to grossly neglected, are here for the first time given proper attention. 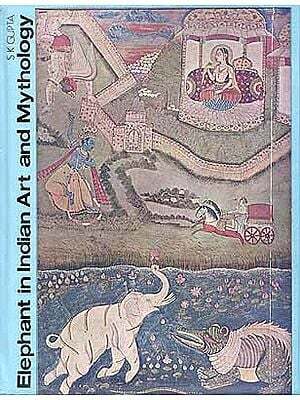 An introduction briefly describes the historical and social background of Gupta art, and its development, and suggests some of its most salient characteristics. 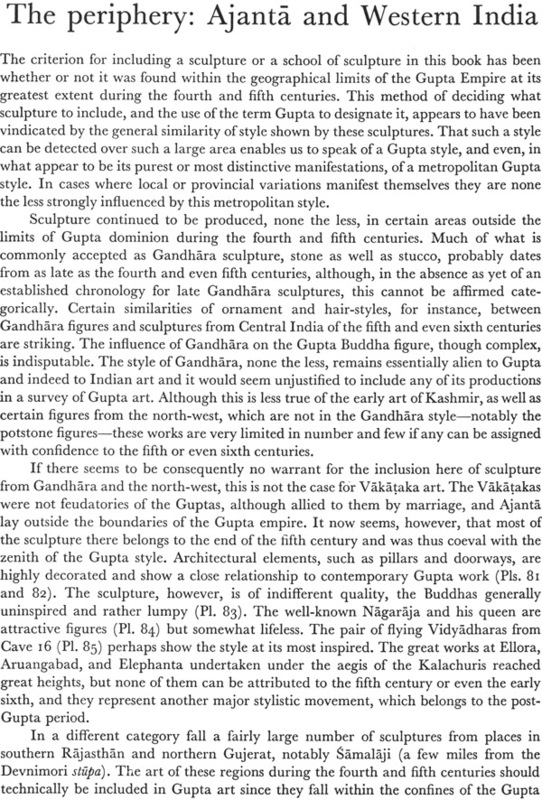 While Gupta is remarkably homogeneous in style, the Gupta dominion stretched across the whole of north India, and separate sections are devoted to the various regions. More detailed description of individual pieces, with other relevant information and bibliographical reference, are contained in the notes to the plates. Dr. James C. Harle, who was trained as a historian and a Sanskritist, has been a visitor to India over the past forty years. He was the keeper of the Department of Eastern Art, Ashmolean Museum, for most of this period and lectured for the faculty of Oriental Studies, Oxford University, on Indian Art and Architecture. He teaches Indian Art History at Oxford University. In 1990 the University awarded him the degree of D. Litt. 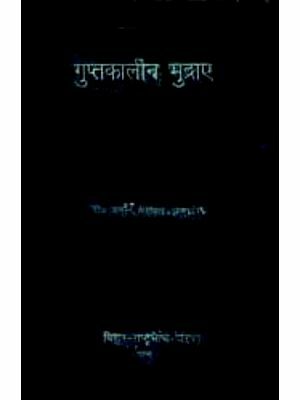 For his published works which include along with many articles, Temple Gateways in South India (New Delhi, 1995), and The Art and Architecture of the Indian Subcontinent (New Haven and London, 1994), the standard text, also now in its second edition. The author recently retired after five years as President of the Society for South Asian Studies (British Academy). 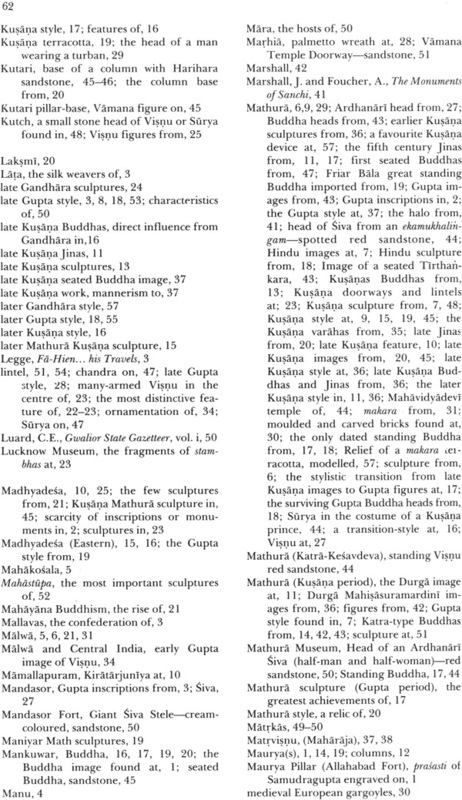 The finding, during excavations at Govindnagar in the mid-1970s, of the standing Mathura Buddha bearing an inscription dated 434/35 and the publication in 1982 of Joanna Williams' The Art of Gupta India were the most important events in the twenty years since the publication of Gupta Sculpture. The first confirmed the assumption I made there that the Mathura standing Buddhas predated by as much as half a century those from Sarnath. The second saw the ap- pearance of Professor Williams' book, the definitive work, no doubt for many years to come, on Gupta art and architecture. She deals comprehensively with sculpture in all three mediums, stone, terracotta and bronze (the last not included here since at the time of the original publication by the Oxford University Press hardly any indubitably Gupta bronzes were known) at the same time as all the surviving Gupta temples, admittedly small in number and almost all in ruins. To this task, Professor Williams brings the most up-to-date techniques of the trained art historian to determine, evaluate, or postulate dates, provenances, artistic lineages and relationships. Since the original publication of Gupta Sculpture, the geographical boundaries of the Gupta styles have been extended by the discovery of a large stone Varaha in Bannu, forty miles south- west of Peshawar, and acquisition by a museum of a beautifully chased pewter bowl almost cer- tainly also made in the region. 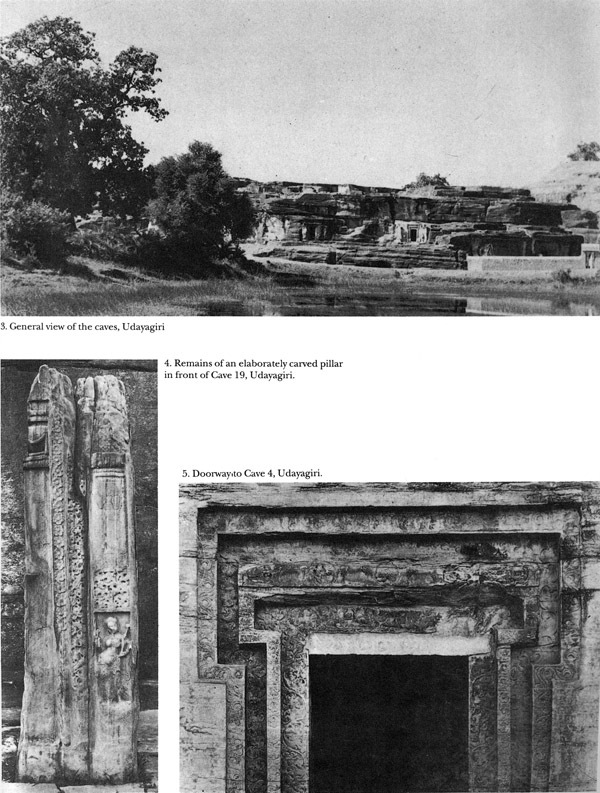 A further extension, this time into Kosala, occurred with the publication by Donald Stadtner, and later Hans Bakker, of the two ruined temples at Tala, some 19 miles south of Bilaspur. The splendid door jamb sculptures of what remains of the Devarani are in a pure late Gupta style and were probably carved at the end of the fifth or early sixth century. 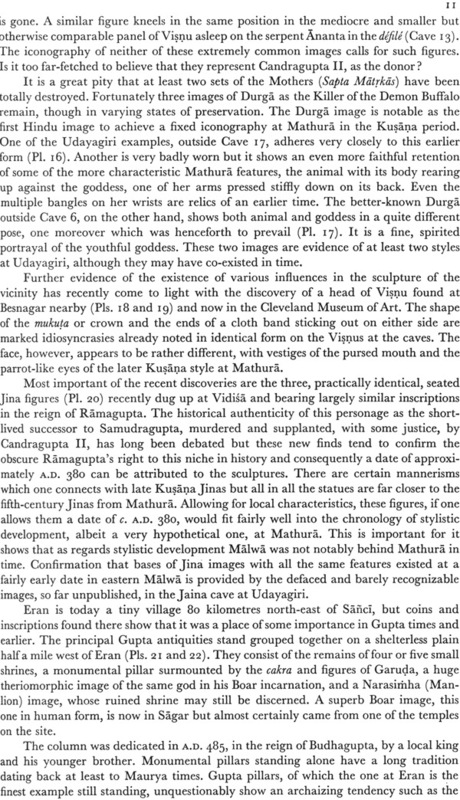 The sculpture from the all but raised Jitarani is, however, in a style linked to as- sociated Vakataka work, of which vigorous offshoots have recently been found in Ramtek and its environs. 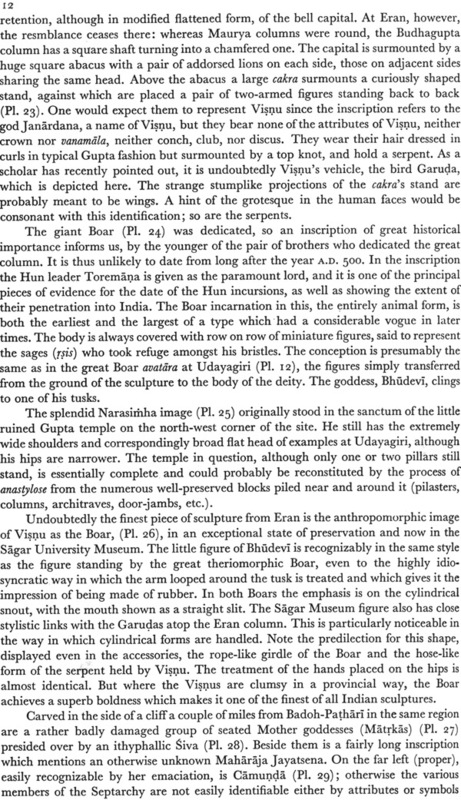 The Mankuwar Buddha inscription has since been convincingly read to correspond to A.D. 429 rather than 449.The figure in the chaitya-arch in pl. 110 is Visnu, not Yama. The ter- racotta remains from the stupa at Devnimori are, more likely, on mature reflection, to belong. as Joanna Williams suggests, to the early 5th century than to the date of A.D. 375 provided by an inscribed casket. I would like to thank the Delegates of the Oxford University Press, the original publishers for relinquishing their rights to me as well as Mr. Devendra Jain, Director, Munshiram Mano- harlal Publishers, for his careful supervision of the production of the present edition. Certain sculptures of the Gupta period have long been recognized as among the supreme achievements not only of Indian art but of that of the world, comparable in this respect to the masterpieces of fifth-century Greece. 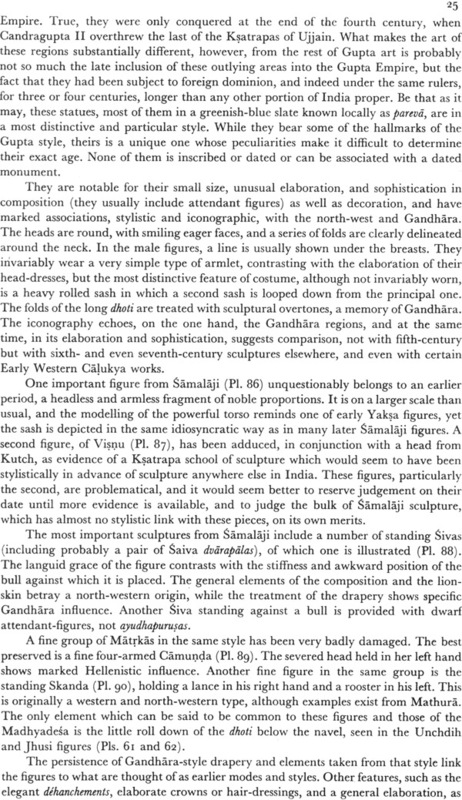 Yet this is the first book exclu- sively devoted to Gupta sculpture, due in part to the small number of works known until recently, and the consequent difficulty of fitting isolated pieces, from widely separated areas, into any sort of coherent framework. During the past twenty or thirty years, however, new discoveries have considerably increased, and indeed perhaps doubled, the number of works in the still limited corpus of Gupta sculpture and an account of the Gupta style, its origins, development and local variations now seems possible. Great gaps, none the less, remain, dated pieces amongst the survivors are so few in numbers that the chronology of the period can only be adumbrated in quarter- or even half-centuries, and there is still a great deal that we simply do not know. The present book attempts to illustrate a fairly large and representative selection of the stone and terracotta sculpture of the period, including most if not all of the major works, and to provide the reader with the relevant information about them as well as a fairly general account of the period and its art, but it lays no claim to being definitive. Sculpture in bronze has not been included, since few indisputably Gupta works in this medium have survived and they are minor compared to both what was achieved in stone and terracotta and to the great works in bronze of subsequent periods. Scholars in the past have held, with markedly varying degrees of knowledge and authority, widely differing views as to when the Gupta period came to an end. A decision on this matter naturally faced me at the very outset with a hurdle which may have served to deter others in the past from writing a book on Gupta art. I have opted for a shorter period and a more restricted geographical area than some which have been proposed but here as elsewhere I have sought to avoid any extreme or radical positions. Indeed the facts did not seem to impose them. In cases of sheer perplexity, I have simply reported the views of the scholar or scholars who have dealt with the material most intensively. 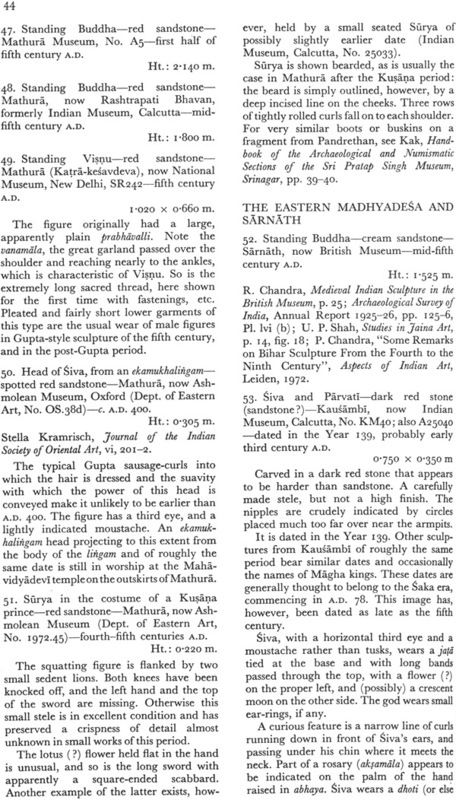 The direction of stylistic development in Mathura, eastern Malwa, Central India, and the eastern Madhyadesa is fairly clear and one or two more dated pieces from the first of these sites may well solve the fascinating problem of whether or how late into the Gupta period Mathura continued to impose its style on the rest of India. On the other hand, the surviving sculpture of Western India and Kashmir presents an almost total mystery as far as its chronological and stylistic connections with, the rest of Gupta sculpture are concerned. Once tardif Gandhara sculpture, with its obvious but as yet totally undefined connection with Gupta sculpture, has been delimited and dates assigned to it, a solution to these problems may well appear, provided that the numerous excavations now in progress in Gandhara as well as Mghanistan and the border lands to the south, establish the chronology on a suffic- iently firm basis. The present book had its origin in a course of lectures given for several years to undergraduates and graduate students at Oxford University. Most of the photographs were obtained, and the principal museums and sites with Gupta sculpture visited, during three months' study leave in 1970 for which I am grateful to the Visitors of the Ashmolean Museum, and I would also like to thank my colleagues of the Department of Eastern Art at the Museum, who cheerfully shouldered an extra burden of work during my absence. Information was checked on subsequent visits to India. As always, that admirable organization, the Archaeological Survey of India, extended their cordial co-operation, for which I would particularly like to thank the former and present Directors-General, Messrs. B. B. Lal and M. N. Deshpande, as well as Mr. Krishna Deva, now Director of the School of Archaeology. I would also like to express my sincere appreciation to the Directors and curatorial staffs of the various museums in India where Gupta works are preserved, for helping me both in my research and by providing photographs. 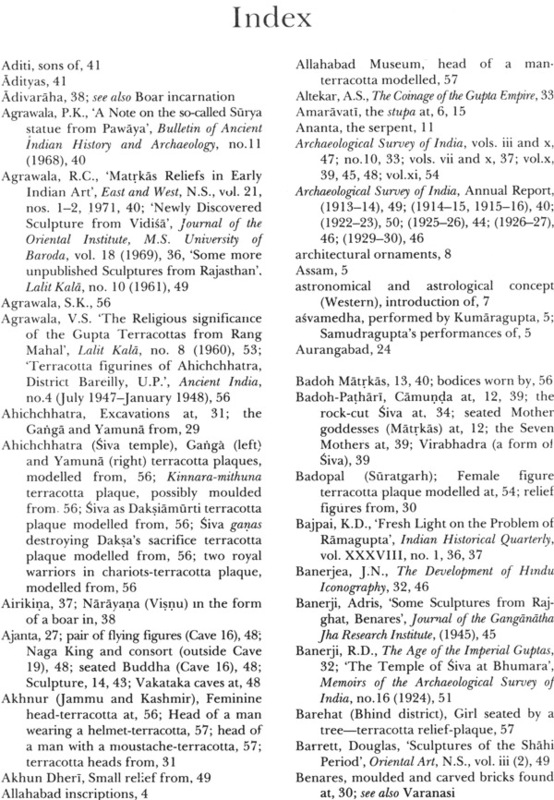 Amongst them, I would particularly like to single out Dr. N. P. Joshi, Director of the State Museum, Lucknow, as well as Dr. U. P. Shah, Deputy- Director of the Oriental Institute, M. S. University of Baroda, whose researches and publications are particularly relevant to the material covered in this book and with whom I had most profitable discussions. Professor K. D. Bajpai was most generous regarding the reproduction of photographs from Eran, his special province. The photo- graphic archives of the American Institute of Indian Studies in Varanasi (formerly the American Academy of Benares) proved invaluable and I am grateful for the unfailing help given by the Institute and its zealous staff. Without the permission to reproduce a large number of the Institute's splendid photographs, kindly accorded by the Commit- tee for South Asian Art, I would, in many instances, have been sorely taxed to obtain illustrations of the required standard. Where my own photographs have proved adequate, it has been in part due to skillful processing by members of the photographic staff of the Ashmolean Museum. The map was prepared by Miss H. O. C. Gibson. Permission to reproduce photographs of objets under their care or in their collec- tions has been given by the Allahabad Museum; Archaeological Museum, Gwalior; Archaeological Survey of India; Ashmolean Museum, Oxford; British Museum; Cleveland Museum of Art; Department of Archaeology, M. S. University of Baroda; Ganga Golden Jubilee Museum, Bikaner; Indian Museum, Calcutta; Los Angeles County Museum of Art; National Museum, New Delhi; Prince of Wales Museum of Western India, Bombay. 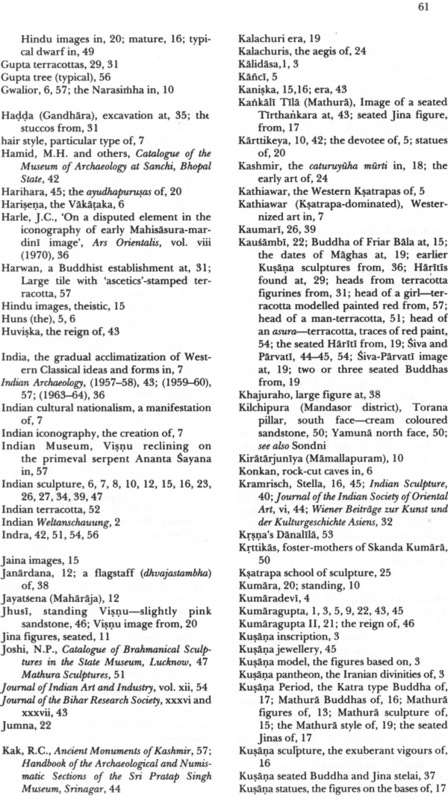 Where the photographs were derived from another source, the name is given in brackets in the List of Plates. The great rulers of the Gupta dynasty, Candragupta I, Samudragupta, Candragupta II, Kumaragupta, and Skandagupta, dominate the history of India of the fourth and fifth centuries A.D. Their very names have an august ring, tolling out an unbroken succession of five uniformly long and successful reigns such as history can rarely record elsewhere. Some, and particularly Samudragupta, were noted conquerors, Kumaragupta appears to have had a peaceful reign, but all measured up, as far as we know, to the ideal of the maharajadhiraja, the Indian great king of great kings. For the first time since the Mauryas in the third century B.C., and the last indeed, until modern times, all of India north of the Vindhyas acknowledged the sovereignty of a single ruler and that an Indian one. 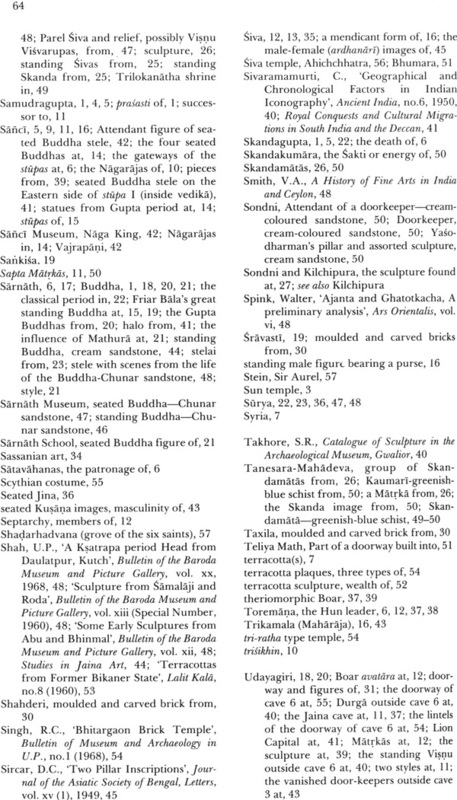 Kalidasa, the greatest Indian dramatist and poet, lived under the Guptas, and it was towards the end of their rule that the Sarnath Buddha appeared, probably the greatest single Indian achievement in the plastic arts. It is not surprising that the Gupta period is enshrined in the Indian consciousness as a golden age. Om! Reverence to the Buddhas! This image of the Divine One, who thoroughly attained perfect knowledge, (and) who was never refuted in respect of his tenets, has been installed by the Bhikshu Buddhamitra,-(in) the year 100 (and) 20 (and) 9; in the reign of the Maharaja, the glorious Kumaragupta; (in) the month Jyeshtha; (on) the day 10 (and) 8,-with the object of averting all unhappiness. 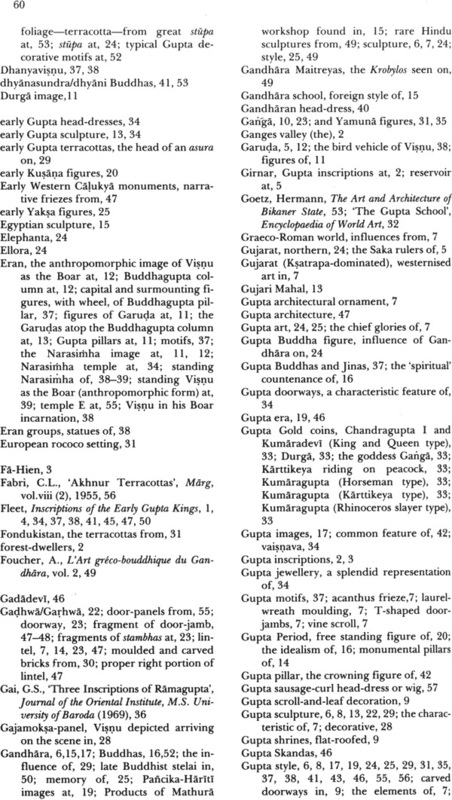 Fleet, Inscriptions of the Early Gupta Kings. In the longer inscriptions, it is true, a genealogy of the ruler will be included as well as lengthy encomiums. Then there is the full scale prasasti, a laudatory account of a king's attributes and exploits, usually reserved for only the greatest and most successful monarchs, listing his victories over other monarchs and the territories brought under his sway; a hundred years of history for a major region of India will often be based on a single prasasti. 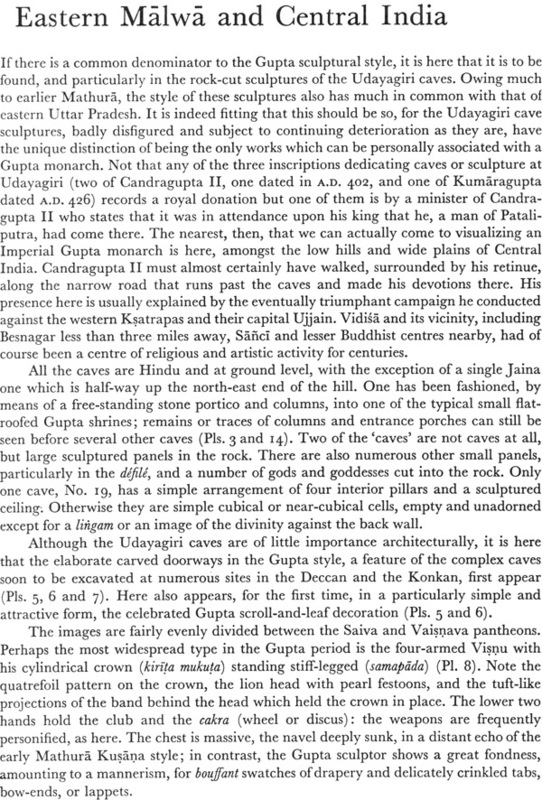 We are fortunate that there is such a record for a Gupta monarch, the well-deserved posthumous prasasti of Samudragupta, c. A.D. 345-80, engraved on a Maurya pillar now in the Fort at Allahabad. Most of what we know of this great monarch's conquests is derived from it. If the blossoms in the form of source-material for Indian political history are of such a limited variety, they are-over the two thousand years up to the advent of the European, and particularly in some regions-exceedingly numerous. Their very uniformity, and the fact that they are deeply rooted in Indian life and thought, provides, moreover, a specially firm basis for their interpretation, and there is little reason to doubt the fundamental assumptions which Indian historians of the recent past have based on these rather narrow but deep foundations. None the less, it is natural to feel a certain scepticism as regards the Guptas. The classical Indian Weltanschauung is a highly realist one and it is often difficult to distinguish whether or not the ideal is rooted in experience. What more natural than to take an obscure but blameless line of kings and fit them into the mould of ideal monarchs in a golden age? 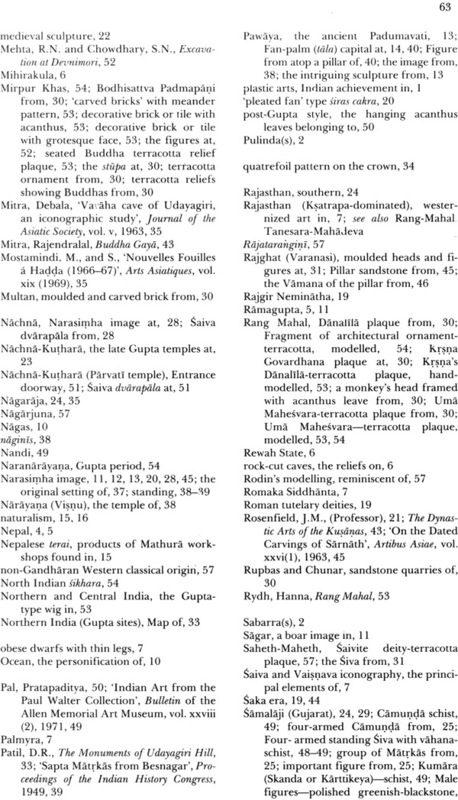 The number of Gupta inscriptions is disturbingly few, only twenty-five or so. Petty monarchs of a later age can sometimes boast twice as many. There is not, moreover, a single monument or work of art which can be directly associated with the Guptas. The emperor, if not without clothes, seems very scantily dressed. 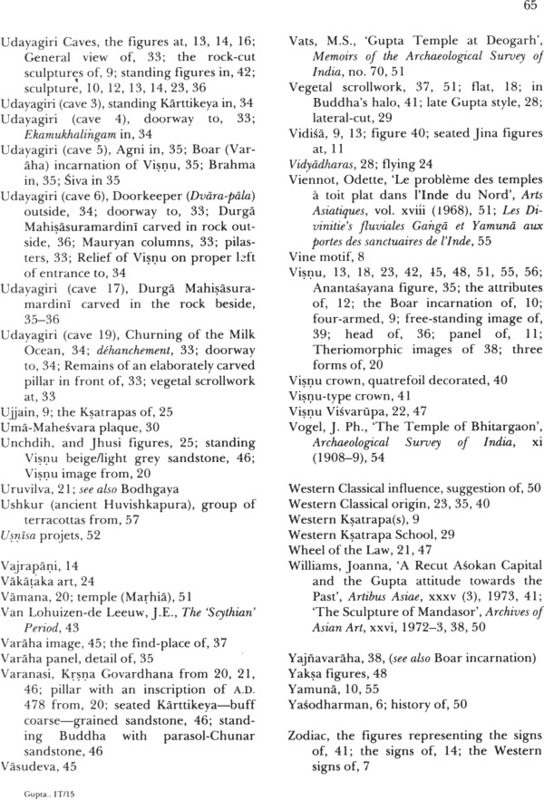 The paucity of inscriptions can, however, be explained in part by the early date of the Guptas, but principally by the extraordinary scarcity in the Madhyadesa of inscriptions or monuments of the fourth and fifth centuries of any kind, and yet we know that it was the richest, most prosperous, and without any doubt the most populous part of the Gupta Empire. Only one temple of Gupta date, the brick temple at Bhitargaon (PIs. 131-5), still stands in what was the heartland of Hindu culture and remains, with the exception of certain coastal areas, the most densely populated area of India. The prevalence of brick, attested by what remains have been excavated and confirmed by its almost universal use in the region today, made necessary by a relative scarcity of stone, provides part of the answer. The other is the destructiveness of successive wars of conquest pouring down along the Ganges valley, attracted alike by this great natural highway and the unequalled spoils which lay along its course. The most casual of travellers cannot help but be impressed at how close together the villages are in the Ganges and Jumna valleys, from Delhi and Moradabad all the way to Patna and beyond. It is even more evident from the air. Conversely, in Central India, villages are relatively few and far apart yet the first region, densely populated as it must always have been, is almost completely devoid of pre-Muslim antiquities, at least above ground, whereas the second is one of the richest for standing Gupta remains. In Central India, the tourist in pursuit of Gupta remains there may have another experience of equal historical relevance. At the close of day, travelling back from the sun-drenched plains where Eran stands, he will notice the coolness of the air as he passes through the last still-forested belt before he reaches Bhopal, the western gate to Central India. The trees and their leaves have absorbed much of the day's heat and prevent its radiation back by the earth. Without being a climatologist, he will suspect how different life in the Madhyadesa must have been before it too was deprived of its trees, except for the inevitable mango and bamboo grove around each village, by a process of deforestation which still continues, with the carts full of firewood lumbering into the cities at nightfall. Not that the inhabitants of the great Madhyadesa, in Gupta times, were forest-dwellers. This indeed was the mark of the uncivilized tribals, Sabarras and Pulindas, but although they tilled the fields and travelled the roads in sunlight, they were undoubtedly far less subject in the daytime to the fierce radiated heat from the treeless earth and, worse, to the consequent prolongation of the day's heat after sunset. If there are few, if any, Gupta inscriptions in their homeland, it can thus be easily explained. 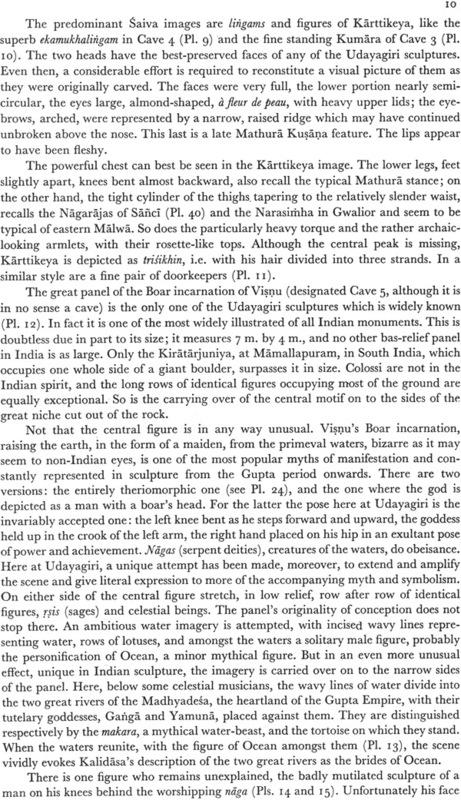 More important is the undeniable existence of Gupta inscriptions in out- lying regions and these inscriptions, in Mathura, at Girnar far in the west, confirm, although not entirely, Gupta claims to the suzerainty of all Northern India. The Guptas founded an era, which was known by their name and widely used, an achievement limited to only a handful of dynasties in two and a half millennia of Indian history. And if few, if any, monuments can be attributed to them, they have left ample evidence of one of sovereignty's most glorious and intimate attributes, a coinage both splendid and unique. Here the pre-eminence of the Guptas over all other Hindu dynasties is undisputed. No other Hindu dynasty produced a coinage remotely comparable in quality, no other minted regularly in gold (PI. 2). Based initially on Kusana models the figures of the emperors retain throughout costumes of indubitably Kusana inspiration, with trousers and buttoned tunics. But the way in which the human body is portrayed becomes increasingly Indianized. In the same way, the Iranian divinities of the Kusana pantheon are increasingly portrayed as Indian gods and goddesses. Certain types, the rhinoceros- hunt for instance, are purely Indian conceptions. The people are numerous and happy; they have not to register their households, or attend to any magistrates and their rules; only those who cultivate the royal land have to pay a portion of the gain from it. If they want to go, they go; if they want to stay on, they stay. The king governs without decapitation or other corporal punishments. Criminals are simply fined, lightly or heavily, according to the circumstances of each case. Even in cases of repeated attempts at wicked rebellion, they only have their right hands cut off. The king's body-guards and attendants all have salaries. Throughout the whole country the people do not kill any living creature, nor drink intoxicating liquor, nor eat onions or garlic.